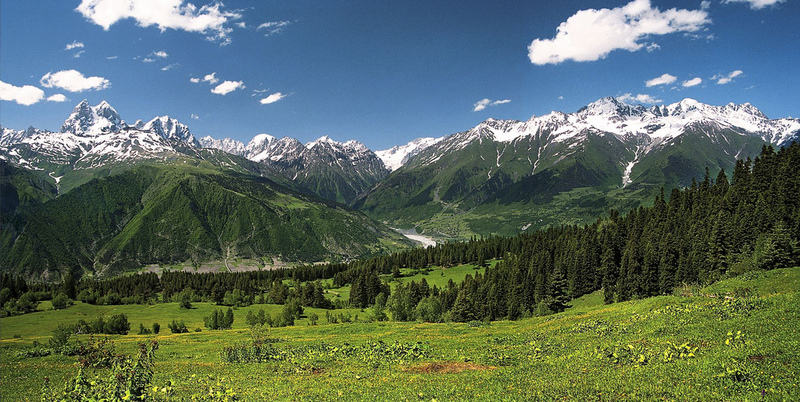 During this Tour you will visit a wonderful part of Georgia – Khevsureti and Svaneti, where you will admire sights of high mountains and their snow-covered tops, be impressed by the architecture, folklore and ancient tradition of local people. Anyone, who has ever seen these beautiful places, will never forget and dream to see them again.Arrival in Tbilisi, at the International Airport of Tbilisi. Meeting and pick up to the HTL. Shatili is a historic highland village in Georgia, It is located on the northern slope of the Greater Caucasus mountains, in the deep Arghuni gorge at approximate 1,400 meters, the village is actually a unique complex of medieval-to-early modern fortresses and fortified dwellings of stone and mortar which functioned both as a residential area and a fortress guarding the northeastern outskirts of the country. The fortress consists of the terraced structures dominated by flat-roofed dwellings and some 60 towers which cluster together to create a single chain of fortifications. Overnight stay in Shatili. The ancient capital of Georgia – Mtskheta, and it's historical places: Svetitskhoveli Cathedral(11-th century), Jvari church (6-th century). Overnight stay in Tbilisi. Kutaisi is the city in the west Georgia, you will see sightseeings of Kutaisi: Gelati monastery is the most important cultural and educational center of middle centuries. The monastery was established by Georgian king David Agmashenebeli in 12-th century. Near the monastery there is a Gelati Academy-a cultural educational center, which was called to be the second Jerusalem in the east- was built in 10-th century, by the first king of united Georgia Bagrati, both UNESCO world heritage sites. We will visit also Motsameta monastery. Overnight stay in Kutaisi. We will visit the city of Batumi, at the black sea coast, we will see sightseeings of Batumi. Overnight stay in Batumi. We will visit the botanical garden. Overnight stay in Tbilisi. 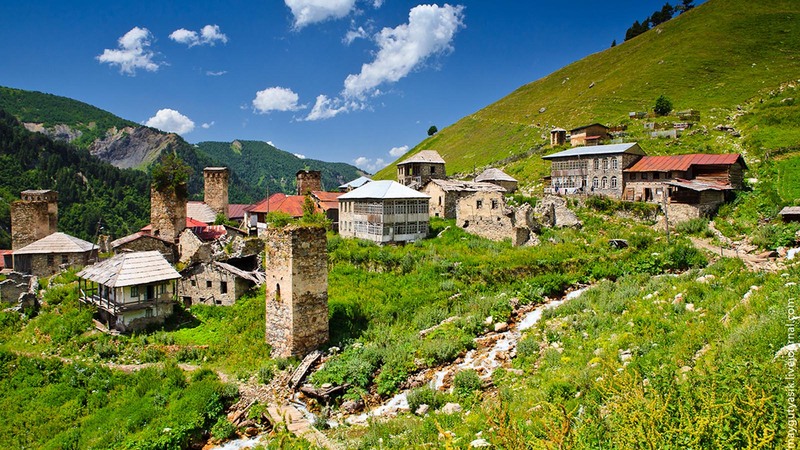 On the way of Kazbegi, we visit Ananuri-the architectural complex was built in 12-th century. It's located on the military highway of Georgia, on a very nice place at the territory of Jinvali reservoir. 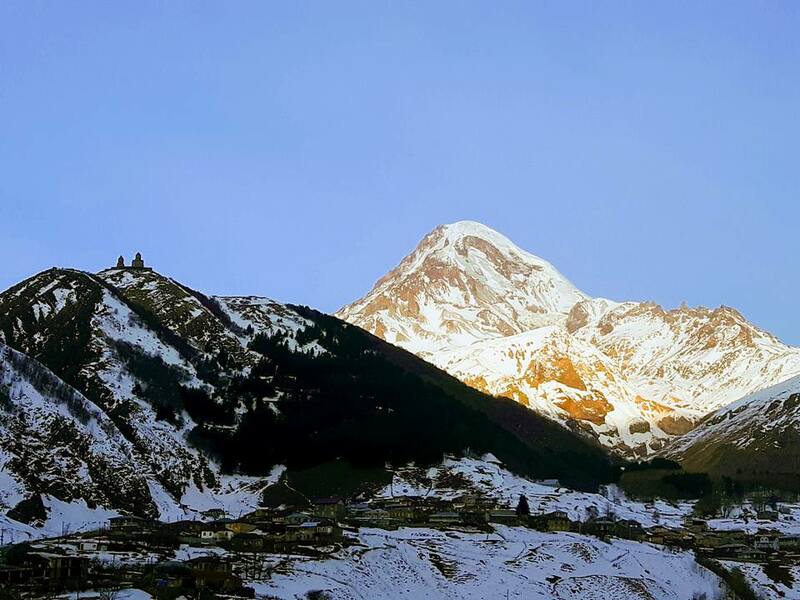 From Kazbegi 1.5 hour walk up through beautiful valleys and woodland leads us to Gergeti Trinity Church located at 2170m, offering beautiful views of the Caucasus Mountains and the town of Kazbegi. 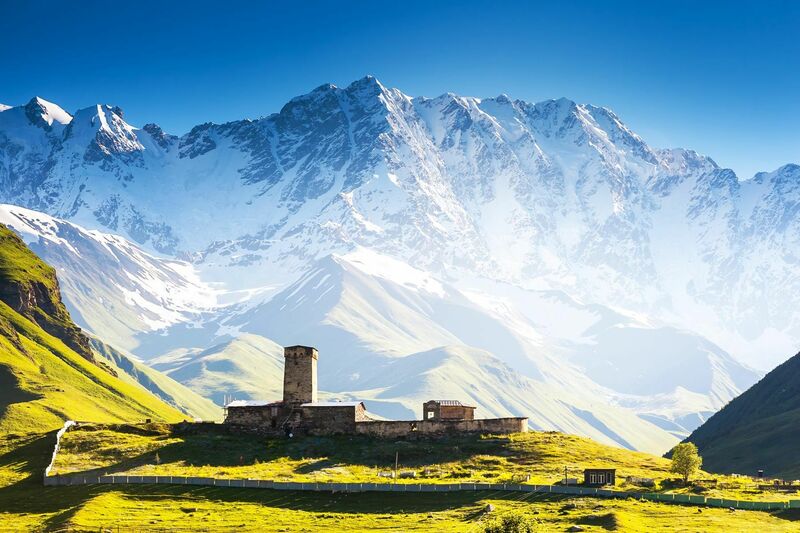 Weather permitting we may catch a glimpse of one of the highest glaciers in the Caucasus – Mt Kazbegi (5047m). Overnight stay in Kazbegi.